As important as the pre-operative phase and the intra-operative procedure, the recovery period can determine whether the whole operation is going to be a success or not and is largely dependent on how the patient manages it along with input from nursing and medical staff. It is unrealistic to anticipate being totally pain free or not feeling some discomfort after the operation even with pain killers. Most heart surgery is very invasive and can cause a lot of trauma to the body. However, if you think you have a low pain threshold or are very scared of the possibility of pain after the operation, please speak to your anaesthetist who may be able to make provisions for this. As you will have Time and may well need some physiotherapy if you have had open heart surgery. It is also unlikely that you will be up and out of bed the same day and you may well need some assistance in getting out of bed for the first time along with some physiotherapy if you have had open heart surgery. Depending on the nature of the operation will determine on whether you will have a urinary catheter in place as well as wound drains and intra-venous lines and drips. Initially after waking from surgery you will feel tired and possible nauseous. It is important to tell the nursing staff, they will be able to give you some medication that will take away the feeling of being sick. 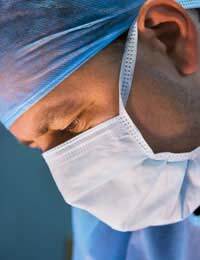 Most cardiac surgeries involve having an open wound which can be at risk if the patient is retching. In the initial days after the operation you will probably find you are tired and become short of breath on exertion. This will settle down if the operation has been successful but of course is very variable between patients. Hopefully you will find you are slowly getting more energy and are able to carryout more activities than before your operation if you have had certain cardiac conditions, but it is important to remember that heart surgery is not a simple form of surgery and may take a long time to recover from. You must follow the advice of your doctors, nurses and physiotherapists as they are fully aware of your capabilities and expectations of patients after surgery. Do not be tempted to try and do too much in the time after the surgery unless your doctor has told you that you may now carry on as normal. It is equally as important not to be frightened to do anything at all as this can lead to immobility-related conditions such as infections, deep vein thrombosis, muscular and back problems and pressure area conditions such as ulcers and sores. Even though you shouldn’t push yourself to do too much, you must try and do a little every day to improve your activity and fitness levels in general. There are several different types of heart surgeries, some more severe and risky than others causing more trauma to the body but for most patients, in order to make a full recovery it is vital that you heed the advice from the experts and try to improve your mobility and independence each day if deemed safe to do so.